SUMMARY: Mostly hunky dory. With a blip or two. Dogg, my traveling companion this year, arranged for an RV rental at Westworld. I told Dogg that if we left my house by 8 a.m., we should be in Scottsdale by 10 p.m. no problem. So she arranged to meet RV Guy at Westworld at 11, when he would turn over a fully functional and ready-to-go RV. We actually hit the freeway at 7:40, so we were good! All three dogs (my two and token Corgi Porsche) behaved themselves very well the entire trip, even though that meant that they ended up in their crates for most of 16 hours with only a few short walks interspersed. But all together, we were in Scottsdale at 9:30, had a late dinner, did some grocery shopping, verified that I could make an Internet connection at the Starbucks by the grocery store (because I have an AT&T account anyway), and discovered that RV Guy had the trailer there but not set up. We responded politely to his questions (like "Do you need the water hooked up tonight?" Correct answer: "Yes please." Internal answer: "Are you nuts? Why do you think we're paying all this $ for an RV instead of sleeping in a tent?") and were finally in bed and asleep sometime after midnight. More photos and narrative here. I want to hear more about car part mods as those can really kill you schedule. Best of luck to you both at Scotsdale. Any chance of a cell phone simulcast at the finals? When we last went to Scotsdale we picked up a CruiseAmerica RV in another area of Phoenix and drove it in. We'll have to compare prices. RV was definitely the way to go, You can roll out of bed, look out the window to see if they're walking. If so, run down and do the walk-through, and then go back to the RV to get a shower and eat some. Plus you dog has a quiet, stress free place to relax. All for the price of a hotel. Thanks for leeting us enjoy your trip with you. Best of Luck to you and Debbie. Have tons of Fun for all of us. 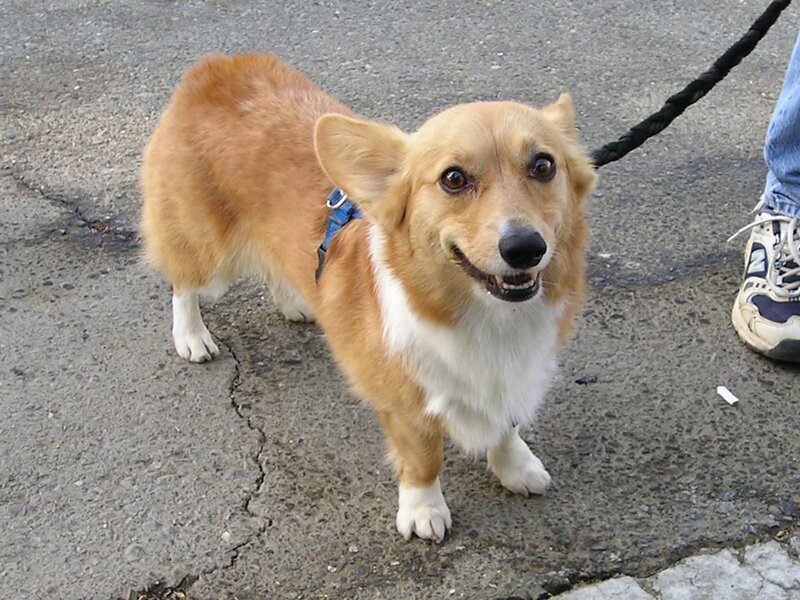 Oh my goodness, is that not the cutest corgi face ever? Glad you made it safe and sound and that your tire was so considerate as to blow out at such an opportune location. Thanks for your blog and pictures! You're always the best Scottsdale roming rover reporter! Good luck to Tika, Boost and Porsche! Guess if you're gonna have car troubles, you did it the best way possible. Luck is with you my friend, keep it up for the entire weekend, and have fun!